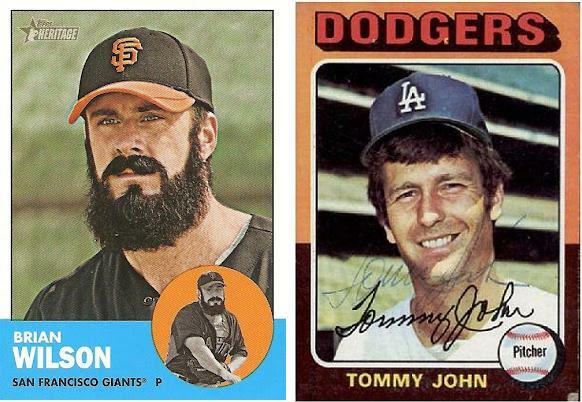 No MLB pitcher ever wants to see his name next to Tommy John’s. I friggin’ hate the Giants, but I never want to see anybody hurt. Sad for B Dub. I’m even sad for Giants fans. Think what you want about that clown closer… but baseball is more fun to watch when he’s playing. End of story. Here’s to a healthy 2013, Brian. This entry was posted in Baseball, MLB and tagged Brian Wilson, brian wilson out for 2012 season, brian wilson tommy john, Giants, SF Giants, Tommy John. Bookmark the permalink.